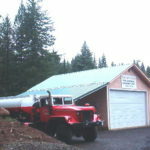 Appleton, Washington, including Snowden and the Timber Valley area are located in Klickitat County, west of the Klickitat River, in the plateau region east of the Snowden rural area approximately 15 miles north of Lyle. The unincorporated community is in Klickitat county. The population is approximately. Nestled on the slopes of Mt. Adams, the elevation is 2203 feet, with a Latitude of 45°48’37N, and Longitude: 121°16’54W . The turn to Appleton, Snowden, and Timber Valley can be found off Highway 142 to the east and from the Lyle-Snowden Road. The community of Appleton is unincorporated and is served by the Appleton Community Council.This high timber region once hosted apple orchards planted here at the turn of the century. The apple trees that had been planted by the optimistic pioneers were a source of pride, and Appleton was a logical choice for a name for the community. Unfortunately, the apple orchards did not fare well in the high elevation with short growing season. Eventually the trees ceased production, and the apple orchards no longer exist in this area. The town site of Appleton was registered May 8, 1912, in the Klickitat county court house, Goldendale, Washington. It is assumed that George C. Howard, a real estate promoter gave Appleton its name officially when he platted the town and recorded the survey area for a town.In the early years of the settling of this part of the county it was called “New Missouri”, because of the many families coming from Missouri, with friends to settle in Klickitat county. The old “Log Hall at Appleton,” was built about 1912 approximately where the two story school stands. 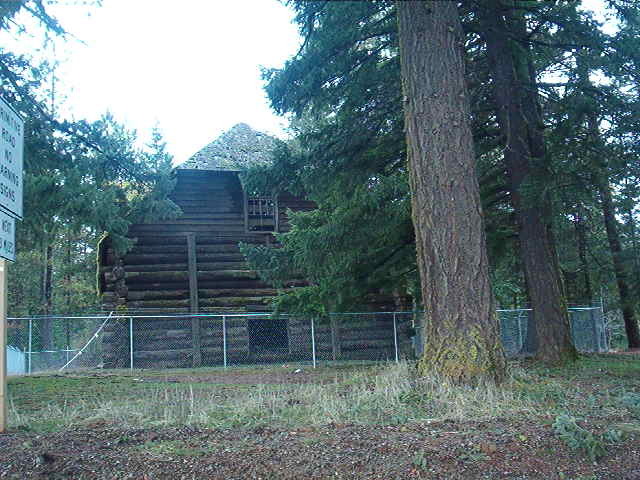 A large structure, the basic logs used for the walls give testimony to the size of the trees available in the forest at the turn of the century. Mr. E.B. Hylton held his Sunday school and church services once a month in the 1890’s in that location. The church building was used as a school, with high school classes held in the upper part of the store, till the new school was built in 1910-11.The store, well house, school barn, Methodist church, black smith shop, and Merriemaids house are gone. The urban area, where all of the large apple orchards where, even in the early days has changed much. Most all the apple orchards are gone, replaced by fir trees. The community is served by Fire 9-1-1.